Glen is the Head of Revenue Assurance and Fraud at Virgin Media, where he is responsible for the creation, documentation and implementation of a comprehensive fraud and revenue assurance strategy that covers Virgin Media’s British and Irish operations. During his career, Glen has worked in management and consulting roles for Eircom, Fraud Management Limited and Securicor Cellular Services. 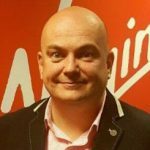 Glen joined Virgin Media Ireland in 2000, and is one of the most experienced RAFM managers in the worldwide telecoms industry. Amongst his many accomplishments, Glen is known for pioneering the use of software tools like ACL and Qlikview to deliver effective assurance solutions for his business. Glen is also a member of the ACFE and ISACA. The April 2018 RAG London conference will be honoured to have Glen as a speaker.